Mobile version of website: The URL redirects to a mobile site (e.g., “m.citylibrary.org”) when viewed on a mobile device. Mobile app: A software application is downloaded by users to run on their smartphones or other mobile devices. Responsive design: The website is designed in a way that is accessible to a wide range of devices, from smartphones to desktop LCDs, through the use of fluid, proportion-based grids, flexible images, and media queries. 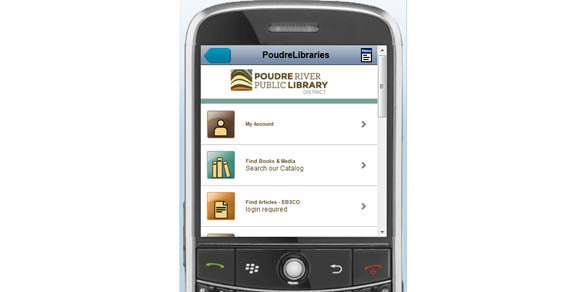 Overall, 36% of Colorado public libraries offered some type of mobile-friendly website access, up from 3% in 2010. Infographic: summarizes the Colorado findings in a graphical format. Fast Facts: presents highlights from the Colorado portion of the study. Closer Look report: contains detailed information about the national and Colorado-specific findings.